There was a time I smugly discarded anything written after the days of the ink and quill as cheap. I lost myself in Chaucer, Jane Austen, Shakespeare, etc. In short, I was a literary snob with no right to be. But then I found Flannery O’Connor and had to to amend my rules to allow for manual typewriters. I suppose I’m growing because I now appreciate good writing in all it’s forms. On a previous post, I talked about John Denver and the simple beauty of his lyrics. Now, I am breathlessly awaiting the second season of the television miniseries Downton Abbey. You do know about Downton, don’t you? If not, please say that you will take a gander at PBS this Sunday night. 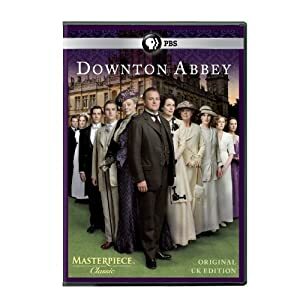 It is the best written, most lushly produced television mini-series in the past thirty years (I can’t say ever because Brideshead Revisited will always hold the top spot). The characters, brilliantly drawn by Julien Fellowes, are navigating life as their Edwardian world begins to disintegrate at the dawn of World War I. I love that not all of the aristocratic Crawley family are pretentious snobs and that not all of the servants are kind-hearted victims. Fellowes knows how to mix it up and show humanity in all of it’s banal, selfish, broken and heroic beauty. I can barely wait to see what happens Sunday night! Let me know what you think! This entry was posted in Uncategorized and tagged Downton Abbey, writing. Bookmark the permalink. I just began watching the first season last night on Netflix! I discovered it, in all places, People Magazine. Popular culture does have its merits. Only through the second episode so I must hustle to be current by Sunday. Thank you for the wonderful post! So glad to have you on Team Downton! Can’t wait to discuss . . .